Adam Lawton Alpert’s practice focuses on the representation of debtors, secured and unsecured creditors, and trustees in Chapter 11 reorganizations and Chapter 7 liquidations. Mr. Alpert is Board Certified in Business Bankruptcy Law by the American Board of Certification, accredited by The Florida Bar. Mr. Alpert regularly represents distressed companies, unsecured creditors' committees, and purchasers of assets in all aspects of bankruptcy. Mr. Alpert's practice also includes handling stock/asset purchase transactions and other corporate transactions involving distressed companies and assets. Mr. Alpert is a former President and Chair of the Tampa Bay Bankruptcy Bar Association and served on its board of directors from 2007-2017. 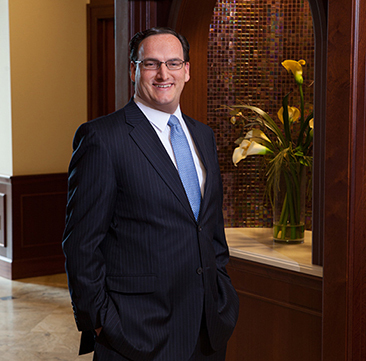 Mr. Alpert has been recognized for his bankruptcy and restructuring practice in Chambers USA, Best Lawyers in America, Florida Trend's Legal Elite, and Florida Super Lawyers. In addition, Mr. Alpert represents horse and stable owners in all aspects of the negotiation and drafting of equine corporate and transactional agreements, including the formation and operation of racing stables and syndicates and the purchase and sale of equine interests and breeding rights. Mr. Alpert was born in Detroit, Michigan and raised in Miami, Florida.